As the snow is melting, the warm weather is making its way, the best time for outdoor events is getting close, and opening doors for fresh air and revamping the backyard calls for an upgrade to fiberglass sliding doors. Here you’ll find four advantages of having fiberglass sliding patio doors rather than French doors, or bi folding doors. Maintain Energy Efficiency While Maximizing Air Ventilation and Space Illusion. Fiberglass sliding doors are a great solution for opening up a small area to widen the view and will also fulfill energy efficiency needs. The air tight seal of fiberglass sliding doors from Fibertec are strengthened by using a closed back frame for the best performance and energy efficiency. Sliding doors are great for allowing for ventilation in the safest way possible. By having a mesh screen installed, the use of natural ventilation allows to save on energy costs as well as keeping bugs from entering through windows, or regular patio doors such as fiberglass French doors. Fiberglass sliding doors are a great solution for saving space. In and out swing doors demand a radius for opening and closing which may be problematic in tight areas, or where furniture may be in place and need to be moved around. Sliding doors take up no radius at all and still provides you with a wide opening. By installing Fiberglass sliding patio doors, you can greatly improve the impression a room gives off by making it look bigger. Fiberglass sliding doors allow you to show off the view of your back yard, and making it a part of the room, regardless of the glass that separates your home from the outdoors. Using four-panel fiberglass sliding doors will act as an illusion that can make a room look larger than it is and can be a useful renovating tool for improving the look and feel of any room. Due to the option of having several door panels in a fiberglass sliding door, you are able to allow more natural light into your home which allows for energy saving. Fiberglass sliding doors can be covered by shutters or drapes when natural light is unnecessary, adding a design solution for your home. The Pleasing Look of a Wood Clad Sliding Door Adds Character to your Home. Fibertec’s 750 Series fiberglass sliding patio door has been designed to meet every aspect of customer needs to allow for flexibility in design while maintaining energy efficiency. The wood clad sliding patio door allows for us to have the most aesthetically pleasing fiberglass sliding door on the market with the best energy ratings. The all natural oak veneer finish will fit seamlessly into any home, whether it is designed to be traditional or contemporary, the wood clad fiberglass sliding patio door is the best solution for any home. Feel free to send an email our way to sales@fibertec.com with all the details of the information you need. Amazing post! 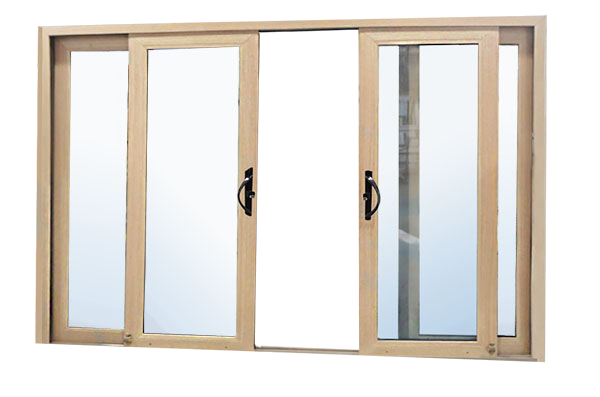 You have nicely narrated the reasons why we should choose fiberglass sliding patio doors for our home. I’m a big fan of energy efficiency. It’s better on the bills, and the environment, so it’s a big win win. I really like sliding doors, because they don’t take up space when they open. If all doors were like that, I would love that. I also like the perk of letting more light in your house. That’s good for the winter, so you can save on heating bills. Nice topic! Thank you for sharing this information in choosing a fiberglass sliding door.